Well it didn’t take long for this post to become necessary. Six weeks ago I announced the resurrection of my writing and publishing activities. 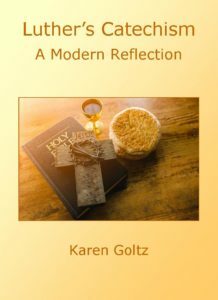 I noted how I was almost finished publishing my first book through Quiet Publications (now done), how I needed to update the Quiet Publications website (still in progress), and how I was bringing back Quiet Devotions (still on schedule to begin on November 30). I also noted that I was working on the final edit of my novel before I begin searching for representation (still editing), and that I would publish on this blog weekly. A week later I did publish another post on this blog. My next post appeared two weeks and one day later. That was three weeks ago. Do you notice a pattern here? Once again I’ve overestimated my abilities. If I could write full time, I could probably do what I said I’d do in that first post. But I can’t. In addition to writing, I raise and homeschool two children. I run all of the administrative aspects of my husband’s software consulting business, including payroll. (And by that I mean I actually do the payroll myself, not just send the information to ADP or some other payroll processing company.) I’ve stepped up my volunteering commitments at my church and at my kids’ homeschool co-op. And I’m still doing the whole stay-at-home wife and mother thing, which, while often considered less demanding than “real” work, takes a fair amount of time and energy. In addition to all that, I feel I need to pay more attention to my overall health and wellbeing, which also takes time and energy. What I’m doing isn’t working, so I’m trying to find balance in my life. In January of 2012 I published a post about following a New Year’s Rule of Life instead of making new year’s resolutions. The rule of life is based on the four categories in Jesus’ greatest commandment: “You shall love the Lord your God with all your heart, and with all your soul, and with all your mind, and with all your strength.” I wrote that almost six years ago. Finding balance is clearly an ongoing theme for me. Even though we’re still more than a month away from the new year, I think it would be beneficial for me to give this some thought now. After all, January 1 is an arbitrary date, and there’s no sense in putting off something beneficial (hopefully) because the calendar says it isn’t time yet. Heart: I define this as the ways in which I nurture the important relationships in my life. The most important relationships I have are with my husband and with my children. Tom and I are already taking time every evening and some mornings to focus on each other, plus we go on a biweekly date night. As two busy parents of two active children, this is the best we can do right now. But we are taking time for each other every day, which is important. Figuring out how I’m nurturing my relationship with my children is more difficult. So much of what I do is for their development, education, or wellbeing, which are important, but don’t necessarily nurture our relationship. I guess the “heart” things I’m doing for them include regular cuddle times (I’m thrilled that they haven’t outgrown this yet, even though they’re 8 and 9) and occasional surprises like movies together or ice cream. Strength: As has been true for most of my life, I need to lose weight. But losing weight is not one of my goals right now. This category is called “strength,” and strength is what I need. Once again my family is without health insurance, and my margin for error is shrinking in regards to my health. My diet and exercise programs are focused not on weight loss, but on building physical strength and improving my overall health. I choose my food based on its nutritional benefits to my body (most of the time), and I’m trying to include cardio, strength training, and yoga in my regular routine. I’ve finally accepted the truth that there are a lot of good reasons to exercise, but weight loss is not one of them. My weight is determined in part by genetics (which I can’t control) and in part by my diet (which I can). So my focus is on my overall health, and if I happen to lose weight in the process, great. As much as I would like to take those four categories and call it done, I can’t. Grocery shopping doesn’t fall into any of those categories. Neither does managing the household finances, or doing laundry, or working for my husband’s company, or even homeschooling my children. All of those things go to support my family, but none of them really nurture relationships or benefit me spiritually, mentally, or physically. But they are all necessary. So I have to add a fifth category: Necessities of Life. This one is tricky, because it’s difficult to determine what is truly necessary and what only feels necessary. I can only do the best I can, and keep reassessing my choices. Finding balance isn’t easy, and I won’t always be able to dedicate equal time to each of these categories. But this at least gives me a framework. I will blog here as I can, hopefully at least every other week. But there will be times when I have to let this go, and I hope you’ll understand. And I wish you luck in finding balance in your own life, too.